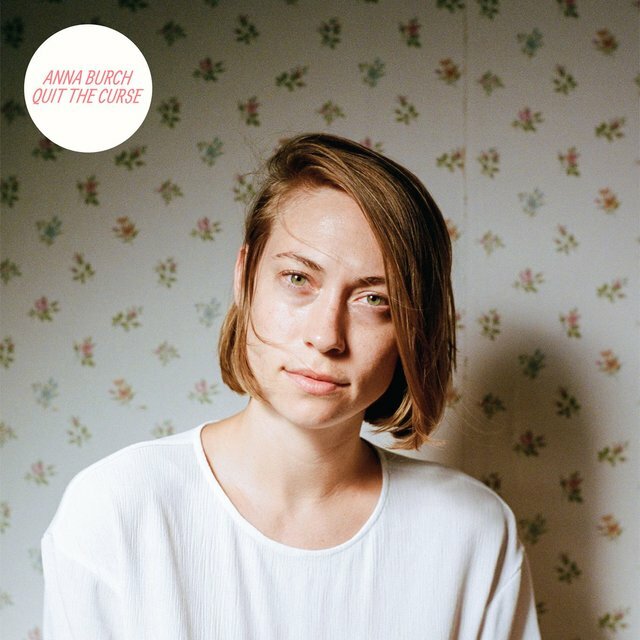 Anna Burch’s debut album, Quit the Curse, is out now, and this collection of music represents a series of stops and starts, back and forth, reflection and action, all wound into a tight, pop-rock record. Calling into question trust in love, emotional leverage and independence, it will be sure to stand as one of the year’s finest works when all is said and done. What was at play that led you to leave Frontier Ruckus, stepping away from music and then coming back into the fold with your first solo album? I got into writing at a weird time because I had just taken a break from music for four years. I was living in Chicago and going to graduate school. I started talking to the guys in Frontier Ruckus again about jumping back on and singing with them. Around that time, I was just really close with a friend in Chicago named Paul Cherry, who wound up producing the record. We just started to mess around and rearrange this one song I had written years prior because I hadn’t written anything since. It was really fun to work with the song, so after I moved back to Detroit, he told me to come back and visit him in Chicago, so I can write and we can record some more songs. The timing was right and Matt from Frontier Ruckus sent me a Craigslist ad for an apartment in Detroit and just said, “Move to Detroit with me!” I was having a particularly bad day, and I decided, “Yeah, you know what? 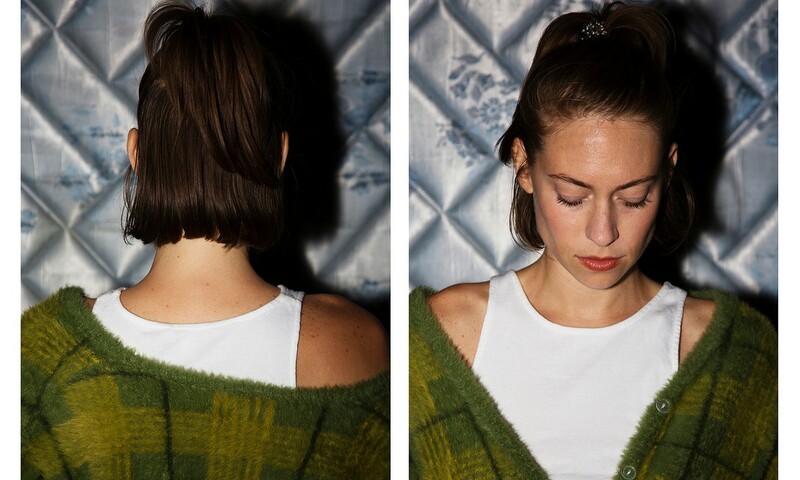 I will.” I needed change, and it felt easy and I felt freed up. I really got into writing after moving back and living with Matt from Frontier Ruckus. When we weren’t touring and I wasn’t working, I’d go back to Chicago, and Paul and I would record some more songs, and about four of them ended up in demo phase. We even talked about them putting them on an EP and putting it on Bandcamp. At one point, he texted me when I was on tour and said, “I really think we should start over and just make a record.” I had been writing more, so we reconvened and went into the album. I, then, hit up Colin Dupuis, who was going to produce it originally, but he re-tracked some stuff on the album. He mixed it and helped me take it to a more professional place. It was, all in all, about a year and a half process. When you were driving back and forth between Detroit and Chicago with Paul, was there anything talked about that impacted the album being made? It was a lot to do with his enthusiasm for making music, and he was really getting into his own “bedroom” kind of recordings. He’s younger than me, so he’s very enthusiastic and he kind of approaches music the way he wants to. I was feeling like the ship had probably sailed on me. I was in my late twenties during these talks, and I hadn’t really been successful writing music at all. He gave me a lot of confidence and working together on something felt very fun. I had, previously, not been that creatively involved in the things I was working on. I think the action of recording drove the enjoyment of the record, rather than the talks. How did your musical approach of straightforward, melodic songs impact the content and angle of your lyrics? Did it encourage a tone of perspective? I wouldn’t say the music is very verbose or poetic. I don’t use a lot of figurative language. So, that allowed me to focus on song structure, melody and chord arrangements. That was the stuff I was very focused on. I think what resonates most on the album is being able to recognize, amongst the clean production and direct lyrics, is this person who had to spend time reflecting and considering the various elements of everyday life that impact having a creative lifestyle. It’s a very human document. Was deciding to step away from music a particularly difficult decision, and does that impact making the music you make now? I’m really happy that came across. I think it was a bit tough, but I think after going to a really good school, like the University of Chicago, for grad school and having a supportive family helped that. I felt everyone was thinking, ‘Oh, she’s getting it together, she’s finally back on track.’ After I had initially quit Frontier Ruckus, I was kind of floating around for a while and it seemed like it would be service industry jobs. I think everyone was happy I had seemed like I figured “it” out, but after I graduated, I got really depressed. I couldn’t really find work in what I wanted to do, and I decided I did not want to get a PhD. I was working at a non-profit part-time and bartending on the weekend because it wasn’t enough work. It felt like school did not give me the direction I was looking for, and it was a lot of feeling lost, but it also just comes down to missing music, seeing the Frontier Ruckus guys and talking with Paul. How did you know what you wanted your music to sound like? It’s very distinct from the music of Frontier Ruckus. I think living with Matt was a supportive venture, and I think there was a small sense of competition when he realized I was taking it seriously. Of course, it was a very encouraging environment, and I’d bring things to him that he’d help me work out. I think the sound is an intentional, distinct separation from what I did with Frontier Ruckus, since that was a huge part of my musical identity until that point. I wanted to do a really pared down, rock band set up. Frontier Ruckus has a lot of instrumentation, and the music can be long and winding. I wanted to make something pretty concise and straightforward. Paul is a really good guitar player, so it was great putting those parts together with him. We questioned whether or not the music [needed] something “more,” but we felt it was pretty strong to stand on its own. After stopping, starting, leaving, coming back and finally getting to release your own record, was there anything you learned about yourself from the experience? Ah, man. I didn’t even think I’d be able to do it. I think finishing it is the first time I went up against something I really couldn’t accomplish. I feel like a lot of the things I’ve approached, I’ve had some control over, even grad school, I thought, ‘I got this.’ I always had a block about writing music. I remember being in middle school and picking up a guitar and wanting to write, but it never registered. When I met Matt and I was in Frontier Ruckus, he was so good at guitar and cranking out songs, it was so enjoyable to be a part of the project, but I kind of put my own personal development on the back burner. For whatever reason, I was really insecure about it.